Early diagnosis and treatment are important for preserving eye health and vision. If you’re experiencing blurred vision, watery or itchy eyes, glare or light sensitivity, call 830-693-3292 or use our online form to schedule an appointment today. During an eye exam, we’ll review your medical history, measure your visual acuity, and evaluate visual field, muscle balance, pupil and color vision. We’ll perform a microscopic evaluation of internal and external eye structures and perform dilation if necessary. All this is done using the latest diagnostic equipment. Geriatric exams. We use equipment necessary to diagnose and treat pathology occurring in the geriatric population, such as macular degeneration, glaucoma and cataracts. Pediatric exams. We are able to examine pediatric patients as young as 6 months old to diagnose amblyopia (lazy eye), strabismus, or any eye condition that could affect learning. Diabetic exams. Diabetic patients are at risk for retinal disease and other ocular complications. Our standard diabetic eye exam includes a retinal image and an OCT image of the retina and macula. How often you have your eyes examined depends on your age and health. And patients with glaucoma or macular degeneration should have an exam every 6 months. Your comfort is our priority. Don’t hesitate ask questions anytime during your visit. 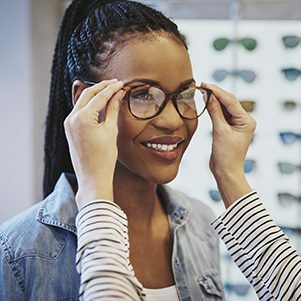 Once checked in, a technician will take you to the exam room to take a retinal photo and perform preliminary tests, as well as a retinoscopy which automatically estimates an eyeglass prescription. After that, Dr. Poole will see you. He’ll review your retinal photos, check eye muscle balance and pupil dilation, perform an external an internal microscope exam, and complete other eye tests as needed to assess your eye health. 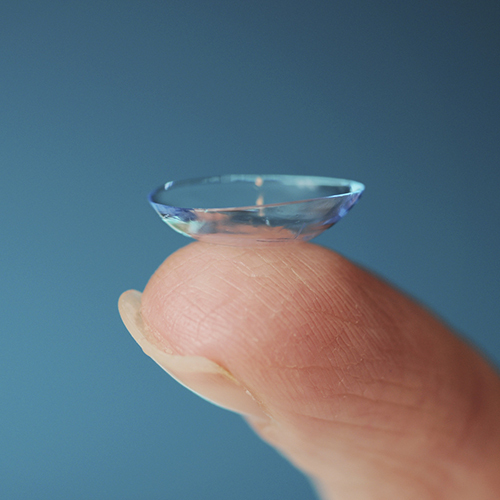 Free trials and follow-ups are available so you can try a variety of contact lenses before purchasing the ones you like best. Do your eyes itch, burn or feel gritty? Are your eyelids crusty in the morning? Does your vision fluctuate throughout the day? These are all symptoms of dry eye or of problems that lead to dry eye. There are many treatments for dry eye but the key to successful treatment is first diagnosing the cause. At Poole Eye Associates, we will perform a dry eye evaluation consisting of specific tests to pinpoint the cause and develop a customized treatment plan. Glaucoma occurs when the pressure inside of the eye increases to the point where it damages the retinal nerves in the back of the eye, resulting in vision loss. There are a variety of tests we perform to diagnose glaucoma. While there is no cure for glaucoma, we can prescribe medications or surgery to reduce the pressure in the eye and improve eyesight. Cataracts can be diagnosed through a comprehensive vision exam. If cataract impact on vision is minimal, treatment may not be necessary. 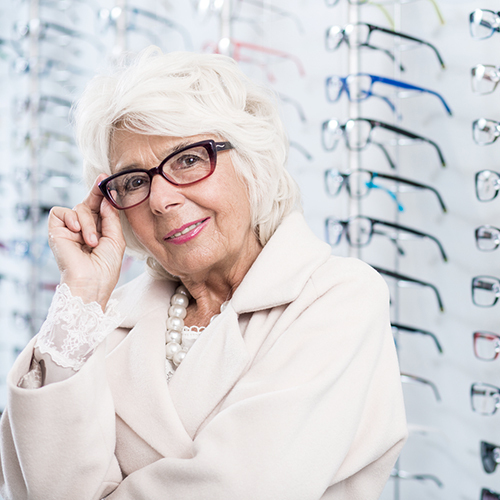 In some cases, we recommend eyeglasses or cataract surgery to improve vision. Macular degeneration is a condition in which the central part of the back of the eye loses blood circulation. As the disease progresses, central vision diminishes. It’s the leading cause of vision loss in adults over age 50. Macular degeneration can be difficult to notice in its early stages, but we can perform a multitude of tests to determine if you are affected, then prescribe treatments to maximize your existing vision. Our office is equipped to handle most types of eye injuries. If you experience an eye emergency, we’ll see you on the same day. Call 830-693-3292 for an appointment now. If you see flashes of light when there is no light to explain the flashes, it could mean something is happening in the back of the eye. The eye doesn’t have pain sensors so flashes are a clue something is wrong. The cornea — the clear lens over the eye — does have pain sensors and injury can be painful. In either case, immediate treatment is needed. Our staff will expedite the treatment of these types of injuries. Call immediately when an injury occurs. Refractive lens exchange (RLE), synonymous with Clear Lens Exchange (CLE), replaces your eye’s clear natural lens with an artificial multi-focal intraocular lens (IOL) to correct your refractive error and achieve sharper focus, reducing your need for reading glasses or bifocals. Refractive lens exchange typically is for people with presbyopia or extreme farsightedness , for whom LASIK, PRK or phakic IOL surgery generally are not suitable. Presbyopia is the common phenomenon for people 45 years and older, which causes the need for “readers” or multi-focal contacts. Can’t read the menu in low light, or a book at night? Apple watch seemingly unusable? That’s presbyopia. Refractive Lens Exchange (RLE), or Clear Lens Exchange (CLE), is the same procedure done on people with cataracts. Common life changes, managed by a highly proven surgical procedure, taking advantage of the latest lens replacement options to restore full focus vision and improve your everyday life! Say goodbye to contacts and “readers”, and say hello to your youthful vision! Why wait, schedule your free consultation today! 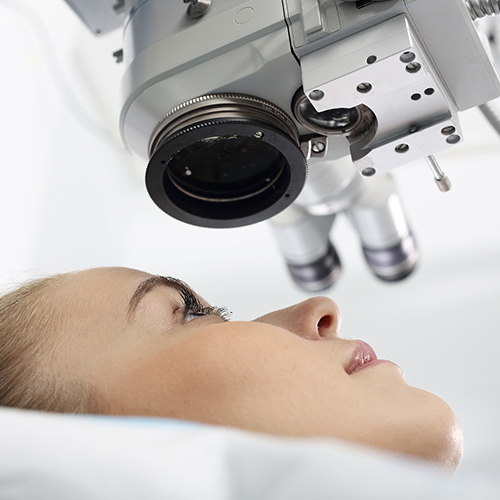 LASIK is an outpatient surgery used to treat nearsightedness, farsightedness and astigmatism. 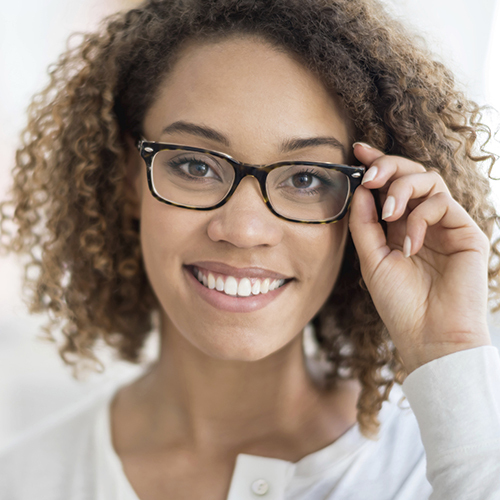 The big advantage of LASIK is you won’t need eyeglasses or contacts, so can save money in the long run. The procedure involves reshaping the cornea with the use of two lasers to improve the way the eye focuses light onto the retina in at the back of the eye. LASIK is a good choice for most people, but people who have severe dry eyes, corneal disease, thin corneas or have had previous corneal surgeries may not be candidates for the surgery. We co-manage with the most reputable LASIK surgeons in Austin and your LASIK fee will include follow-ups for one year after the procedure. Make an appointment to get more information or to determine if you are a good candidate for LASIK.